Keeps hot for 3 hours. 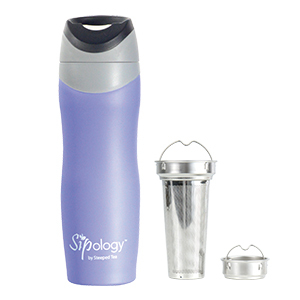 Removable built-in agitator; twist off for easy cleaning. 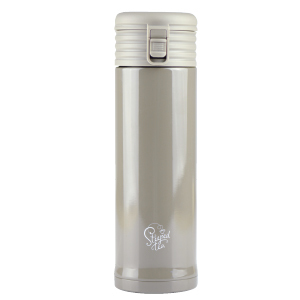 Durable double-walled stainless steel. 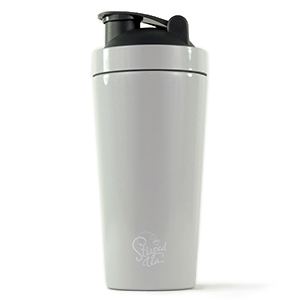 BPA-free, dishwasher safe. 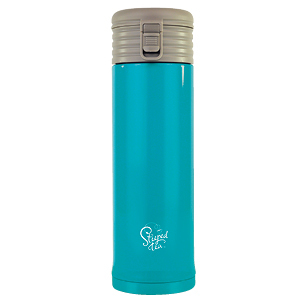 Engrave for an additional $10. 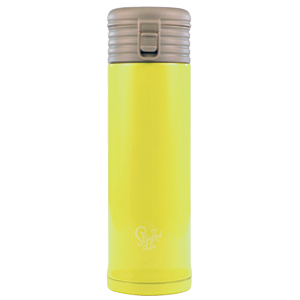 20 fl oz (600 ml) Engrave for an additional $10. 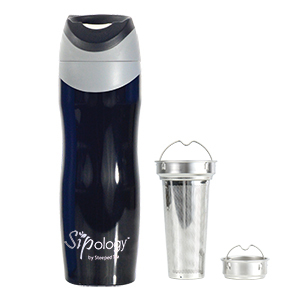 Double walled stainless steel, removable stainless-steel infusing basket, press button to drink, handwash only. Engrave for an additional $10. 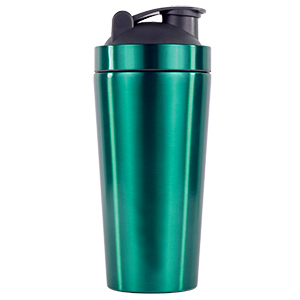 If water becomes trapped in the lid of your Impress Me Tumbler follow the steps below: 1. Press the button on the lid and hold under running water to wash out any leftover liquid or debris. 2. Press the button again to close the lid. 3. 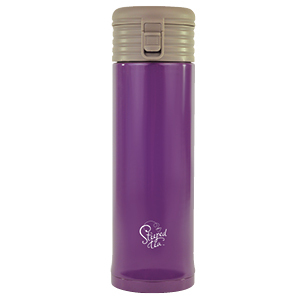 If the trapped water has not been expelled, turn lid upside down and twist the small circle piece off to the side. 4. Shake the lid up and down until the trapped water is expelled. 5. Leave lid upside down on a drying rack to dry or replace on tumbler and use right away!